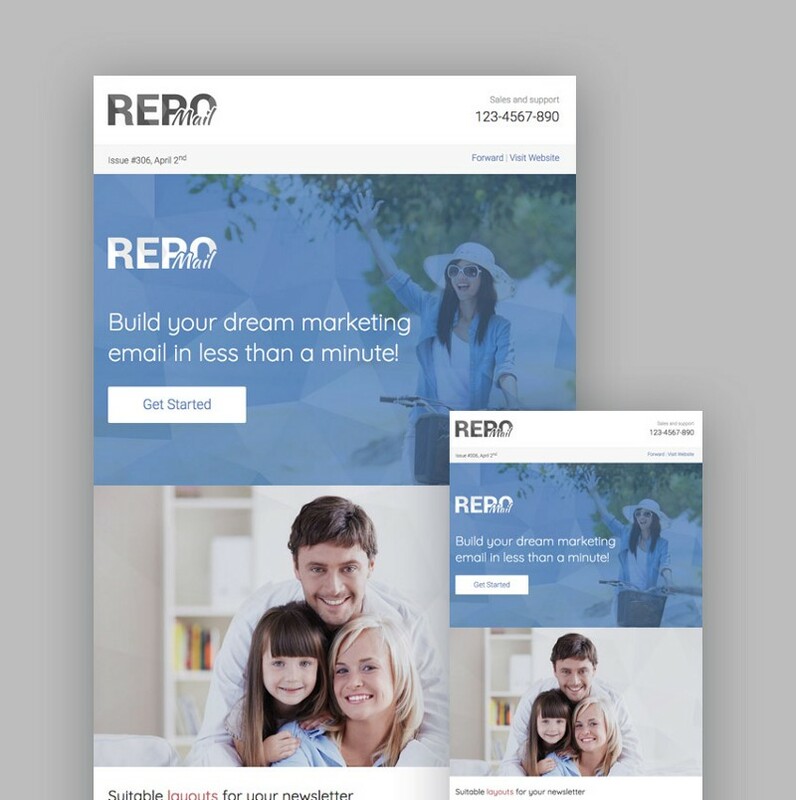 In this roundup, we’ve gathered the best MailChimp templates with responsive email design to help you take your emails to the next level in 2019. Building your email list is one of the most important tasks that can transform your business. But, once you start getting subscribers, it’s even more important to email them on a regular basis to cultivate the relationship and establish trust. That’s where MailChimp email templates and newsletter templates come in handy. They save you time because you don’t have to start from scratch to create a campaign or a newsletter and ensure that your emails look consistent each and every time you contact your list. On top of that, they’re easy to customize and thanks to responsive design — look great on both desktop and mobile email clients. 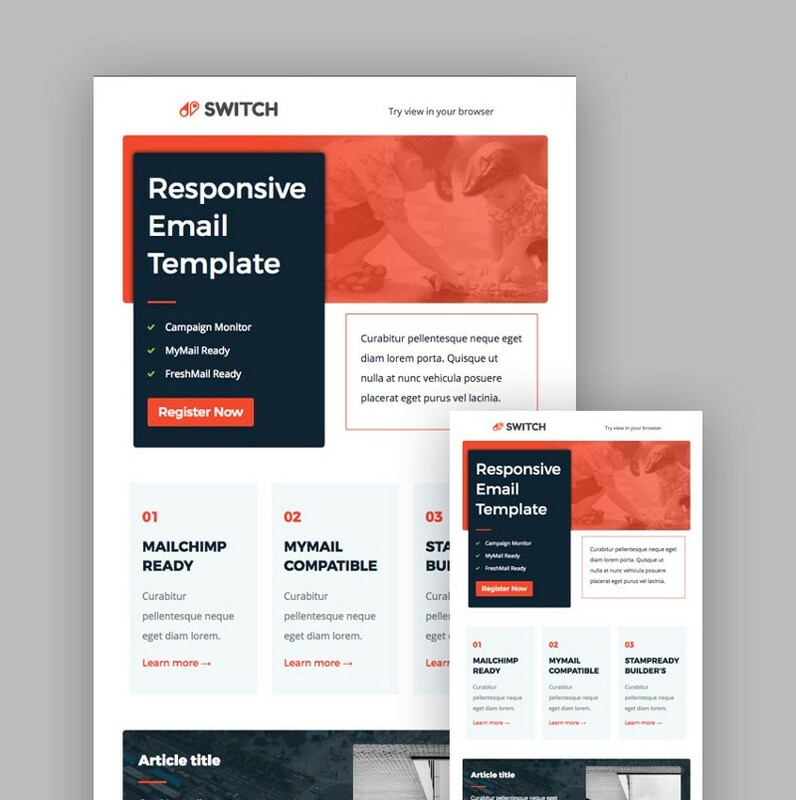 The Switch template has a responsive design that’s easy to customize with StampReady’s drag-and-drop builder. You can easily add and replace different elements, tweak the style settings, and save the template for future use. What’s more, the template uses advanced lossy compression that reduces image file size by 70%. 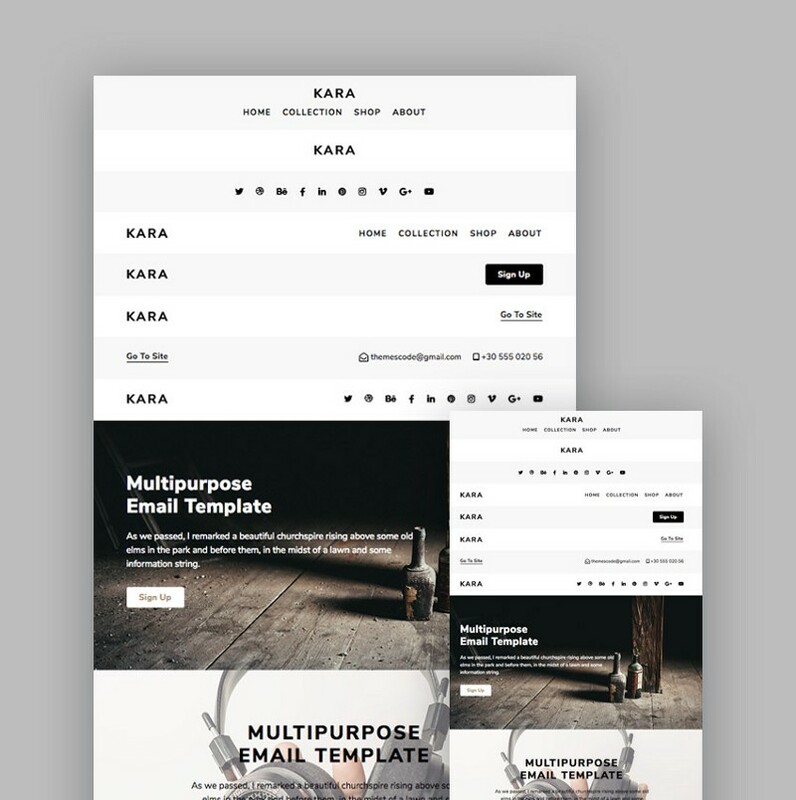 The Switch template is also compatible with Mailster, a popular WordPress plugin for email newsletters. Try the Avalan template if you’re looking for an elegant design. The template uses StampReady builder, which means you can tweak every part of the design, test the template, and save it for future use. It’s compatible with not only MailChimp, but also with Campaign Monitor. 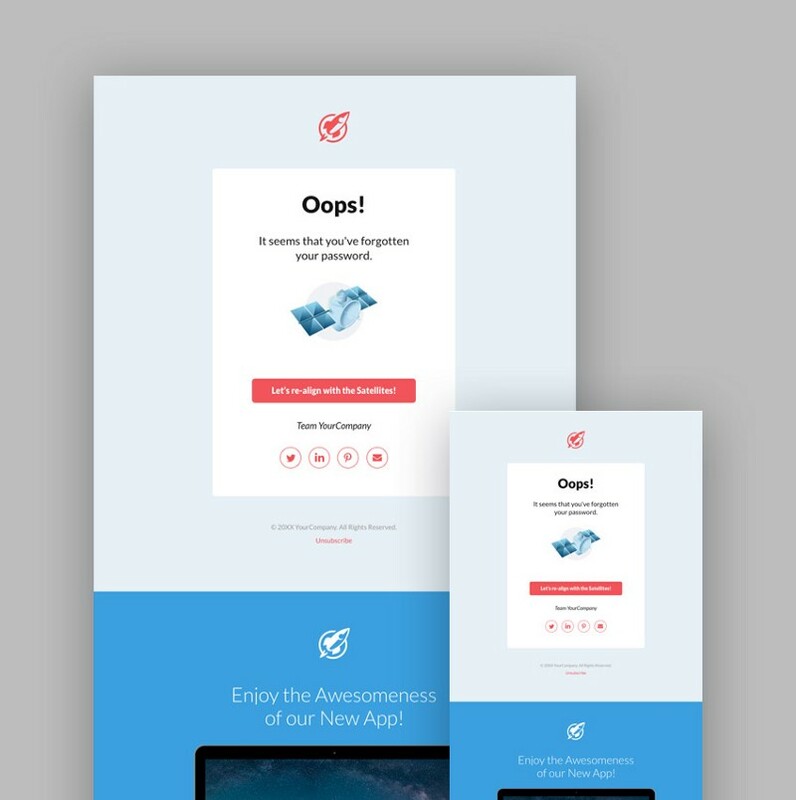 The Avalan template has been tested and optimized to look and work great on all major desktop, Android, and iOS email clients. 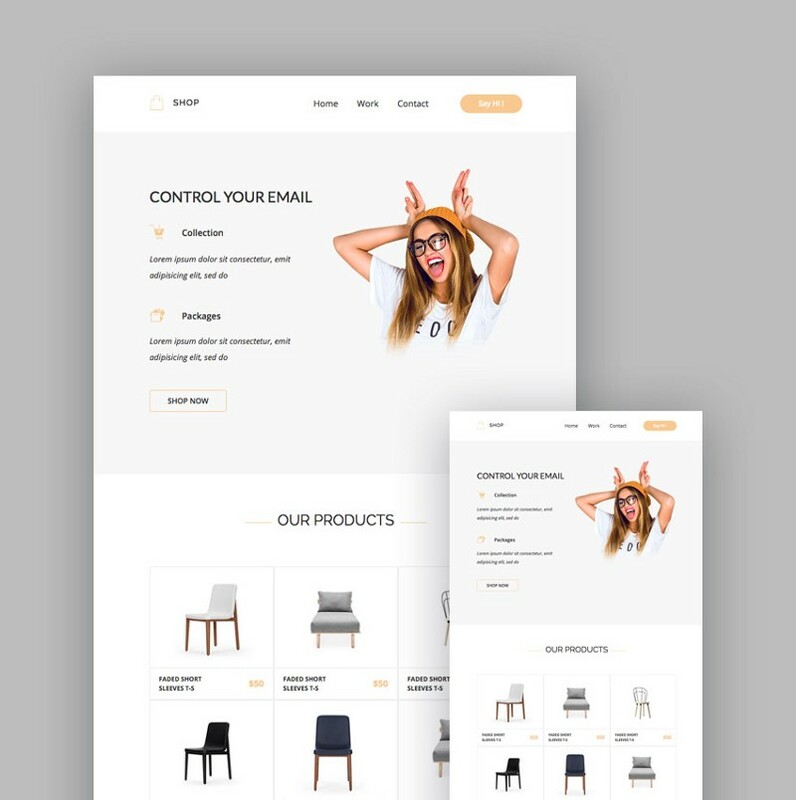 Consider the Shop template if you need a MailChimp template geared for online stores. The template is easy to edit. You can drag, drop, and clone different modules to speed up the design process. Use the preview mode to see how your email will look on both desktop and mobile, and then export it to your computer so you can use it with your MailChimp account. The template passes Litmus test as well as W3C tests to ensure compatibility with all major email clients. Beautiful design templates and the support service was always very fast and great for any debug requests. Thank you! 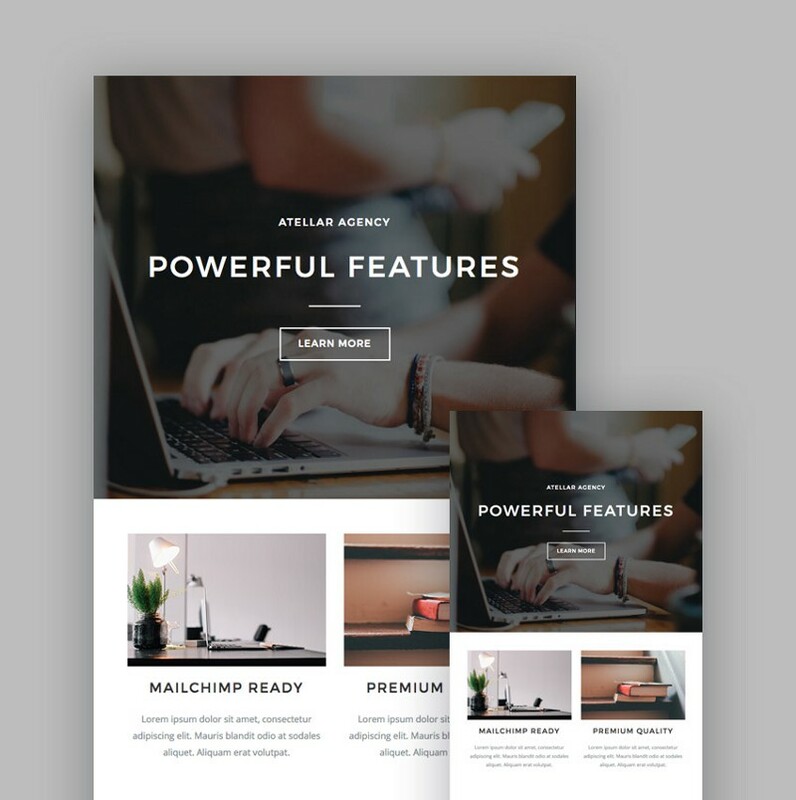 The Atellar template features a clean design that can be used no matter what type of campaign you need to send. You can promote your recent posts with a featured image and a brief teaser of your article as well as insert calls to action that link to your sales pages. 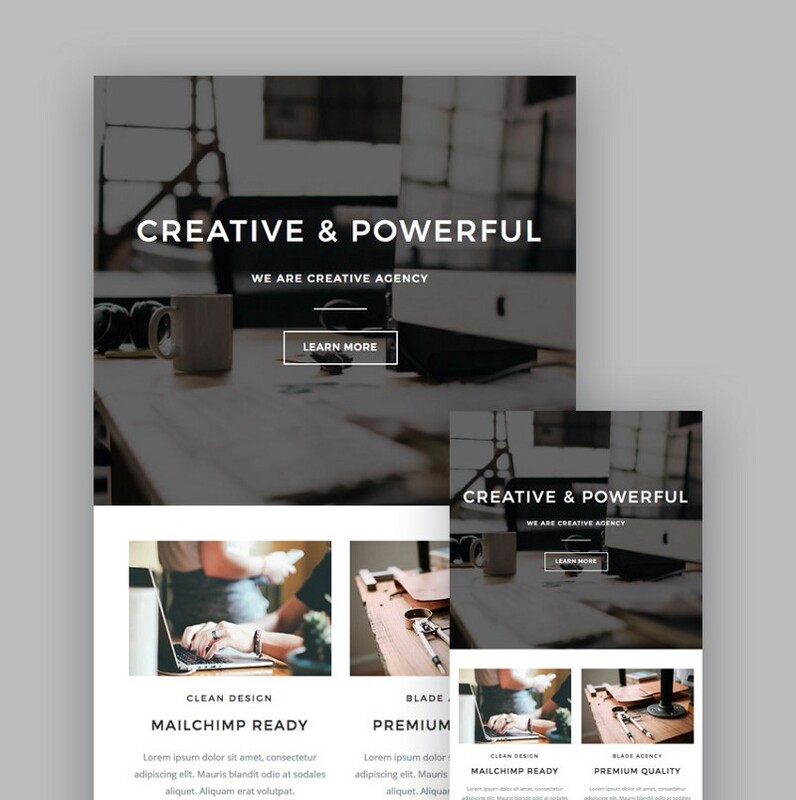 Use the StampReady builder to tweak the modules and the design and then download the template to use it with MailChimp and CampaignMonitor or save it for future use in the builder. 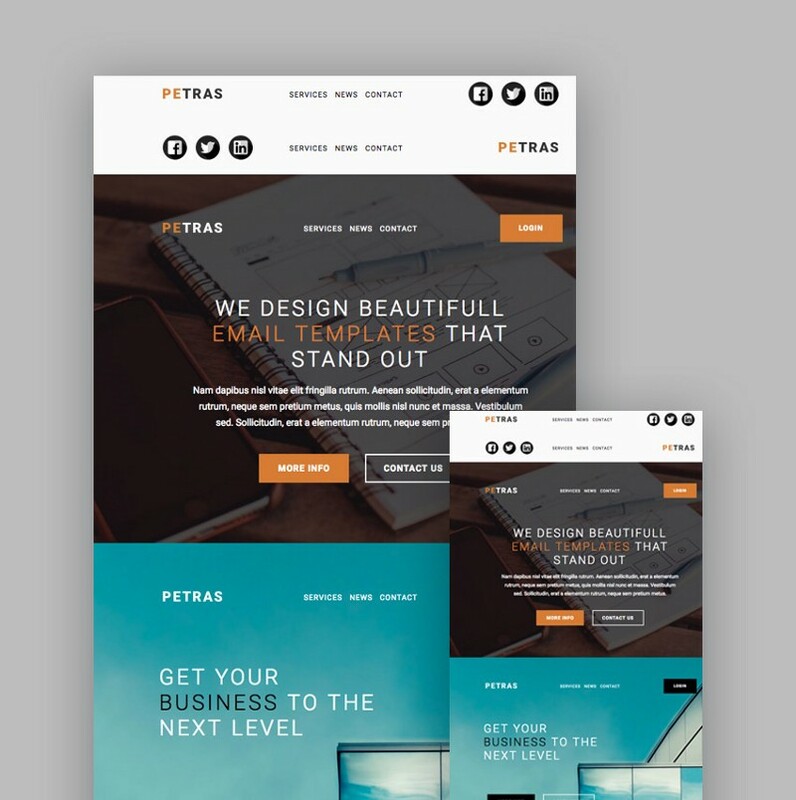 Petras comes with more than 200 individual modules such as full-width background images, buttons, progress bars, image grids, and more. You can use the StampReady builder to arrange the elements to your liking and tweak every module to reflect your brand. 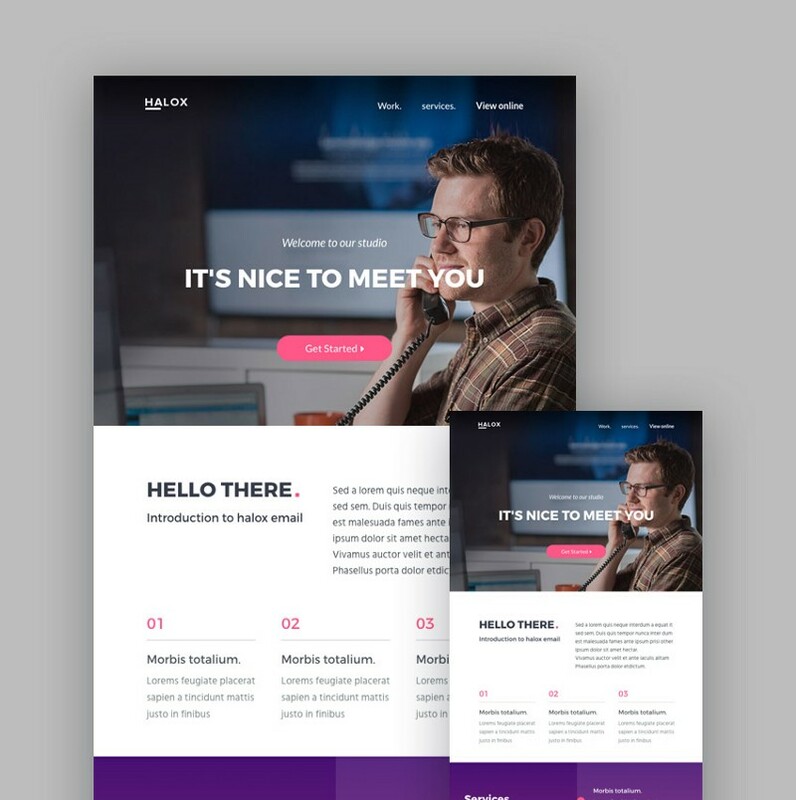 The template is compatible with all major email clients, looks stunning on both mobile and desktop and is ready to be exported as both MailChimp and HTML template. Very well designed, commented, and documented. Beautiful template. More than enough options. Highly customizable. 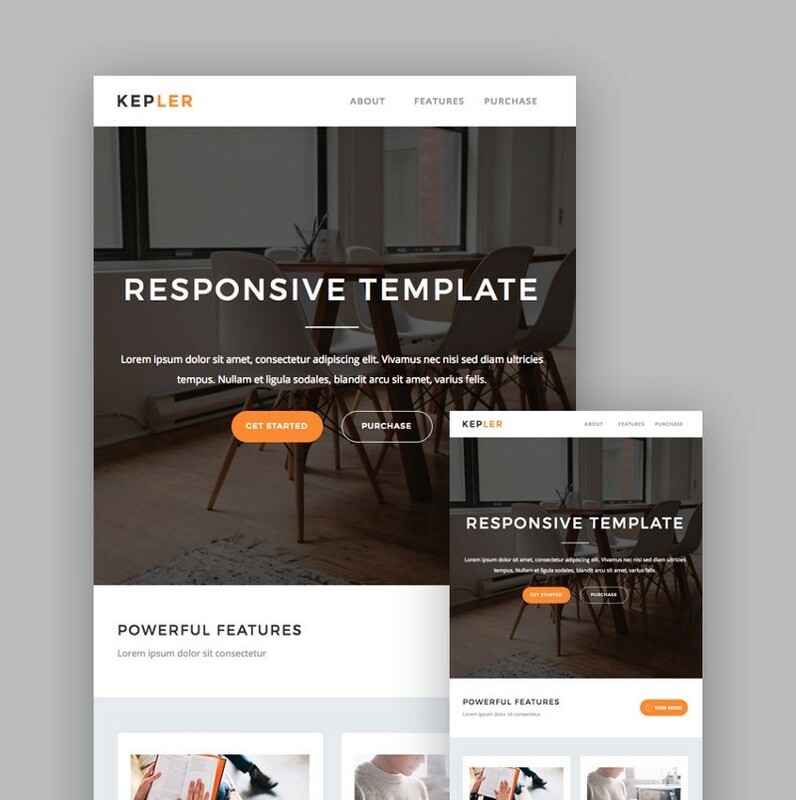 The Kepler template features not only a beautiful design, but also powerful features such as: a drag-and-drop interface, unlimited colors and fonts, and dozens of different modules. Aside from exporting the template, you can send a test campaign and preview the finished design using the builder’s interface. The Notification App is a perfect choice for online store owners or app developers who want to improve their conversion rates. The template includes pre-made designs for welcome emails, order confirmations, invoices, and more. It’s also fully responsive and has plenty of customization options to choose from. 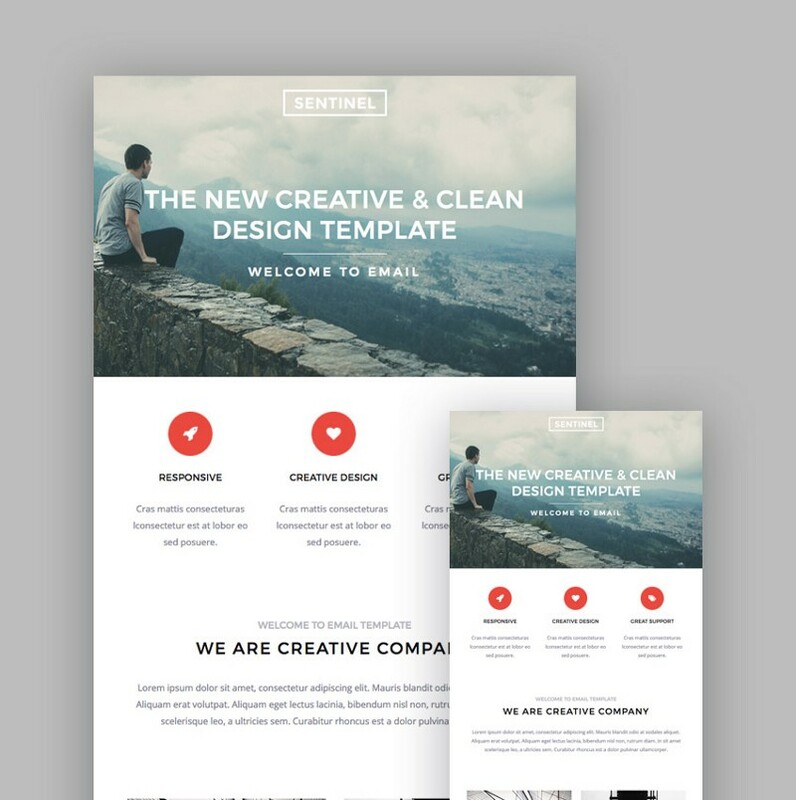 Choose the Sentinel template if you like a clean design. 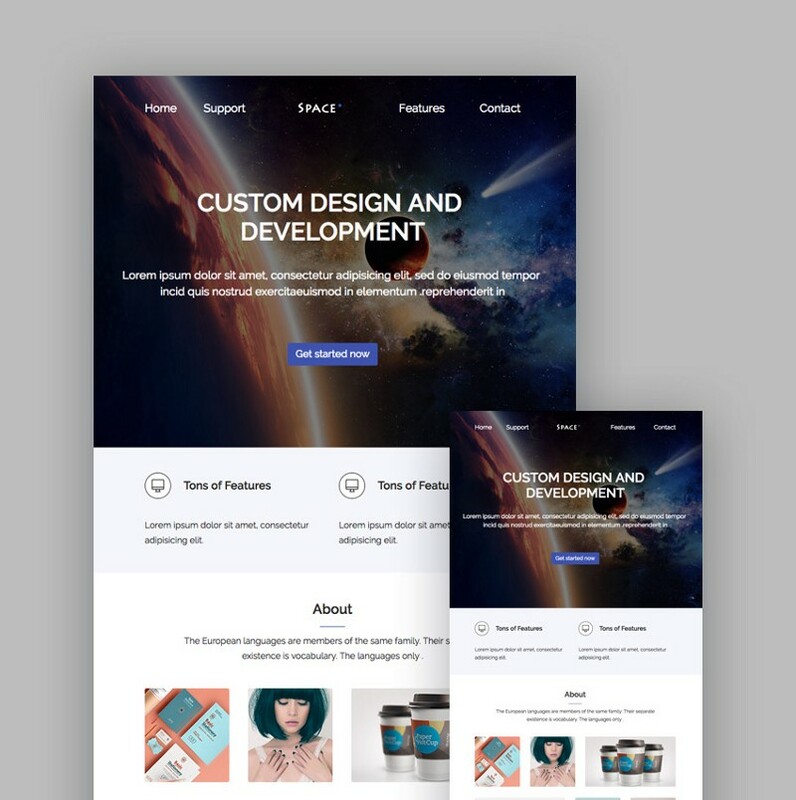 The template can be easily customized thanks to the StampReady drag-and-drop builder and can be used as a MailChimp or an HTML template. You can preview and export the design and rest assured it’ll work great with all major email clients. 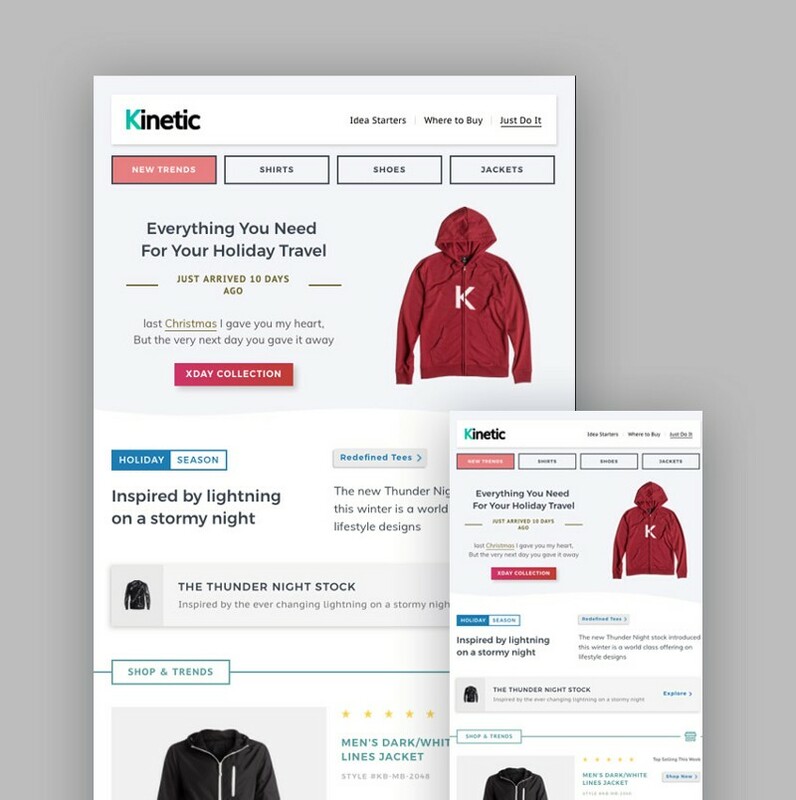 Definitely check out the Kinetic template if you want your emails to stand out. On top of being responsive, you can easily add modules such as carousels, progress bars, videos, and more. The template is easy to customize with a drag-and-drop interface and customization settings for fonts, colors, margins, and more. Consider the Notify3 template if you want the ability to choose from pre-designed templates. This saves you from adding modules yourself, so all you’ve got to do is replace the dummy content with your own. However, you can still take advantage of the drag-and-drop builder to add, clone, or remove various modules. The Blade template is easy to use, but that doesn’t mean it lacks in features. 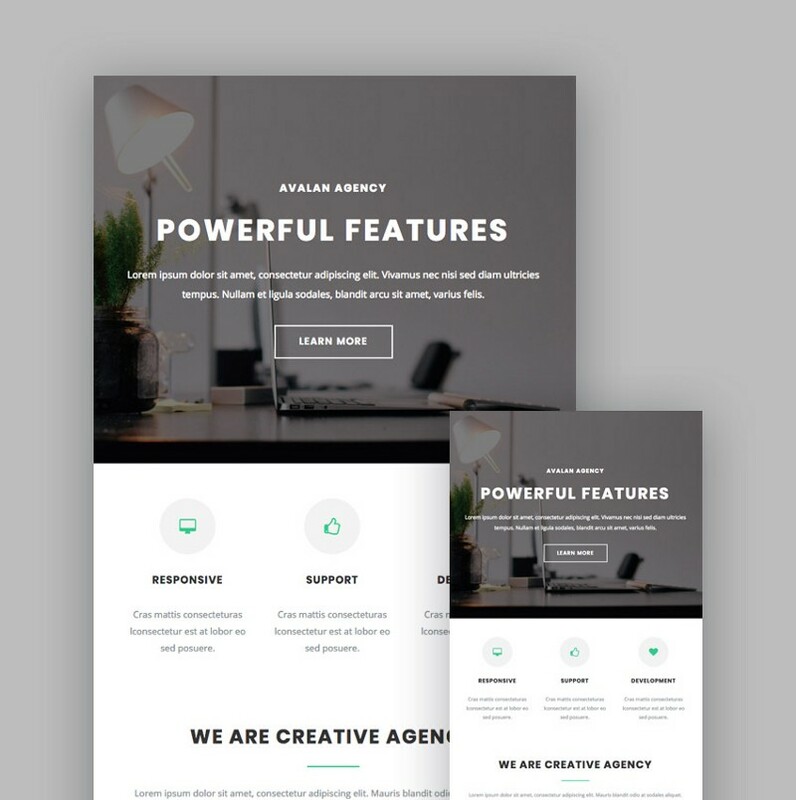 The template stands out thanks to custom modules such as testimonials, the ability to showcase your portfolio, pricing tables, and more. This makes it a great choice for any creative who wants to encourage subscribers to hire them. 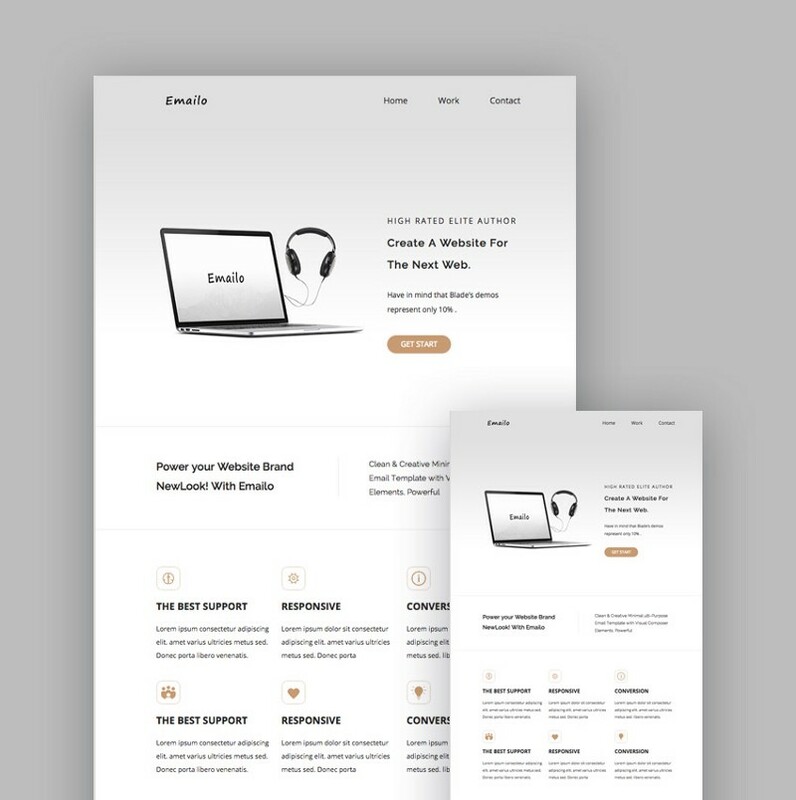 It’s also responsive, works with all major email clients, and can be exported to your computer as well as saved for future use. 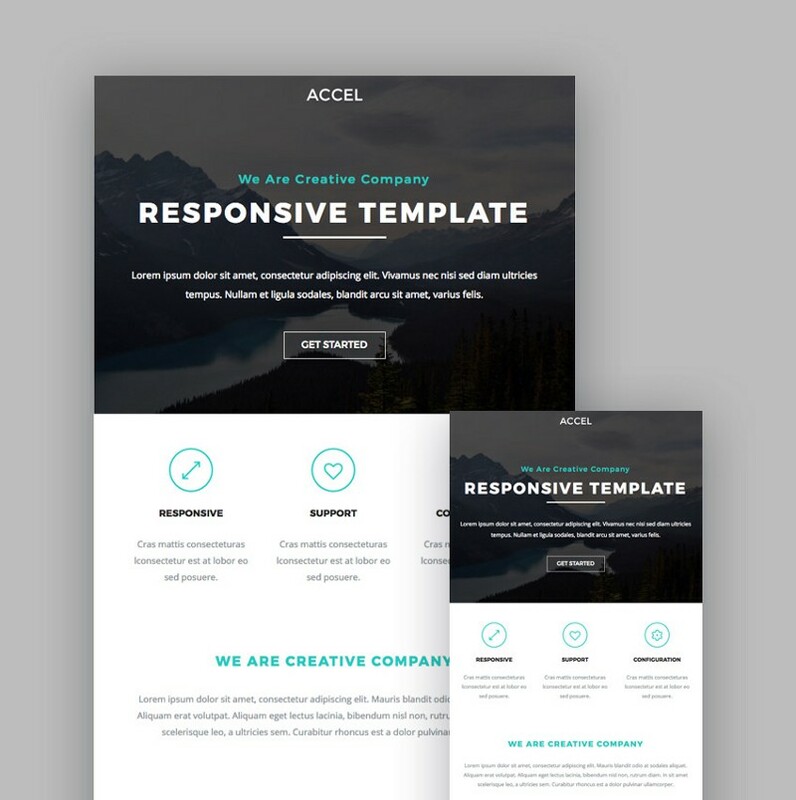 The Accel template is perfect for anyone who wants to send emails with a professional and polished field. Aside from being responsive, it’s fully customizable thanks to the drag-and-drop interface that allows you not only to add or remove various modules, but also to tweak colors, fonts, and more. 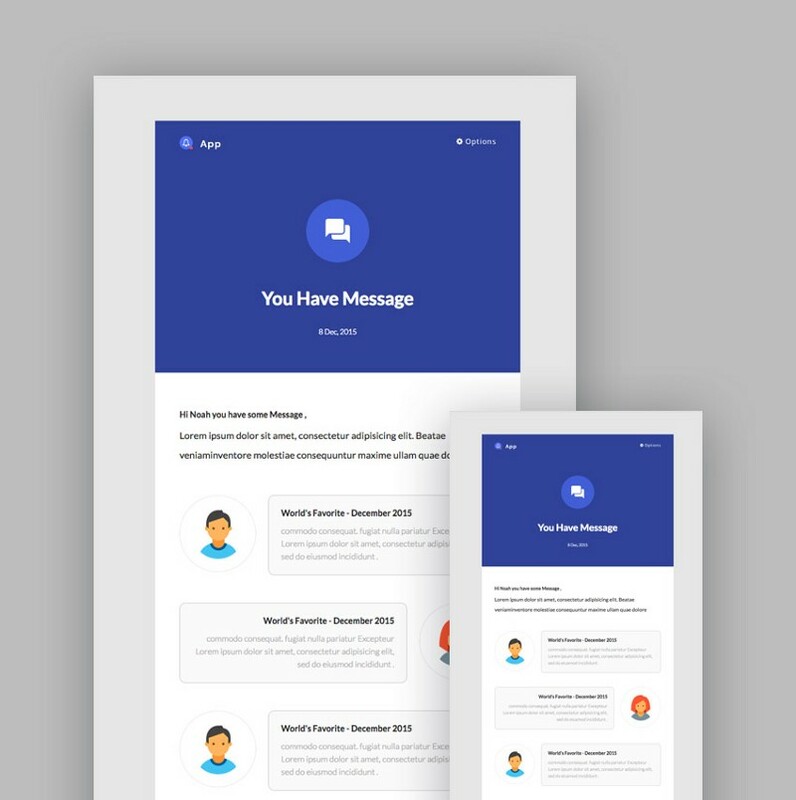 The template works with all major desktop, iOS, and Android email clients and it even includes a PSD file for those who have more experience with design. 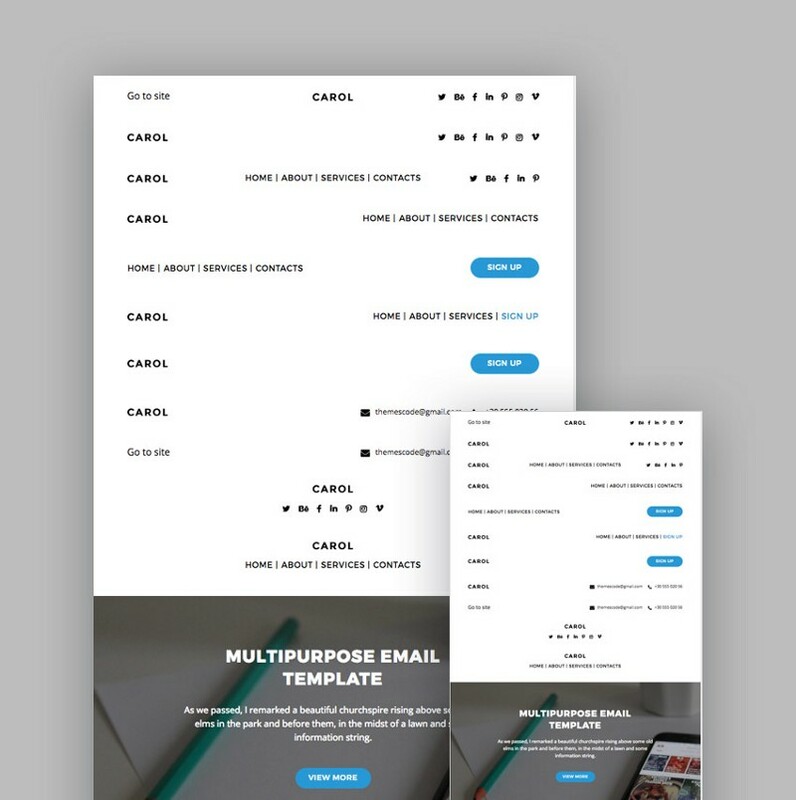 The Halox template makes it easy to export your finished template straight into MailChimp as well as save it within the builder’s interface for later use. It supports Google Fonts, so you can easily style your typography and change any of the element’s colors, and more. The email passed the Litmus test, so it’s proven to work with all major email clients. If you’re looking for a template with a corporate feel, look no further than Space. 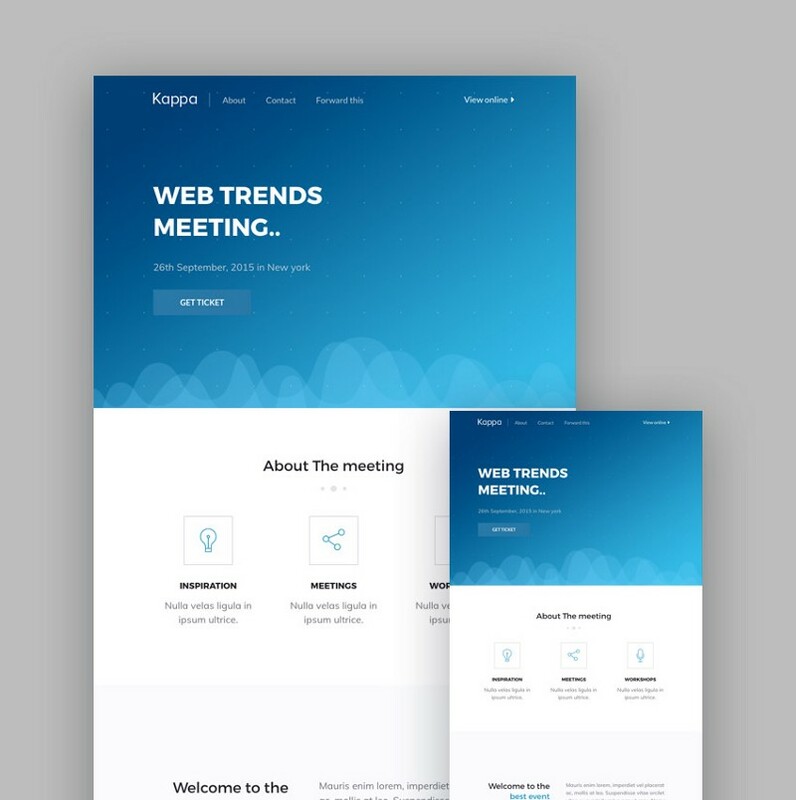 This customizable template lets you rearrange the elements to your liking, customize the style, and easily export the finished design to your desktop. You can also save your progress at any time and continue working on it later, straight from the desktop.